With consumer’s preferences changing rapidly, businesses feel pressure to produce products quickly and sell them through the appropriate distribution channels. To succeed in today’s marketplace, you need to understand…. ….consumer preferences, uncover channel opportunities and understand retailer’s business objectives to develop a solid sales pitch to present to your ideal retail partner. While pitching your product to a retailer may seem intimidating, market research helps tell the story of your product and its’ potential. Read on to gain insight on the types of information needed to hone your pitch before you hit the negotiation table. Learning about your target consumer segment is one of the most important early steps in sizing market potential for a product or brand. Who is your target consumer, and what defines them? In each market, how large is that segment? Who is your target consumer, and how large is that segment? Where do they prefer to shop for products like yours? How should you reach your target consumer? Market research can provides an understanding of consumer purchase preferences by segment and consumer behaviours. Consumer surveys can answer questions such as “Where do they prefer to shop for products like yours?” and “How do they prefer to shop for products like yours?”. Understanding the factors influencing consumer purchasing decisions allows retailers and brands to understand what kind of marketing, merchandising and partnership decisions they should be making. Euromonitor International’s 2016 global consumer trends survey data demonstrated that, across 20 surveyed countries, friends / family recommendations are the greatest marketing influence on consumers, with 63% of consumers calling them extremely influential. The next three most influential marketing influences respectively are independent consumer reviews, loyalty rewards programs and TV commercials. For brands looking to develop retail strategies, looking at marketing strategies that align with the factors most influential on consumers should be a priority. Market research is powerful when comparing channel growth opportunities as it allows brands to view the total retail landscape and how channels are changing over time. It is important to note that not only can the rate of growth or decline by channel type vary significantly region to region, but also that a certain retail format can be both a driver and a blockade to growth depending on the region and category. This can happen because of several factors, including disruptive new channel developments and regional or country-specific consumer preferences. Brands need to consider varying market nuances when planning distribution strategy across different countries. According to Euromonitor International’s 2016 packaged food data, dairy has experienced 58% growth in Latin America since 2011, and only 8% growth in North America during the same period. Distribution patterns for this category provide further insight into market opportunities. In 2016, 98% of dairy purchases were made through store-based retailing in Latin America, and 99% of dairy purchases were made through store-based retailing in North America. During the same period, while internet retailing was the fastest growing channel in North America, experiencing 56% growth, it’s still a very small portion of the overall category sales. North American dairy sales still are dominated by grocery retailers, with supermarkets accounting for 47% of all dairy sales and hypermarkets accounting for 33% of sales. Understanding what channel works for your product will help make it easy to pitch your product to the preferred retailer. If a brand is looking to develop strong retail partnerships and an even stronger distribution strategy, learning about the strongest opportunities by channel is not enough. Within any given channel, retailer-specific stories create additional context for disruption and growth opportunities. For example, internet retailing story is not complete without talking about Amazon, and the same can be said for brick and mortar retailing and Wal-Mart. Stories from small players can also provide important lessons on alternative strategies, as smaller companies are often forced to be more innovative and agile to compete with more well-established companies. 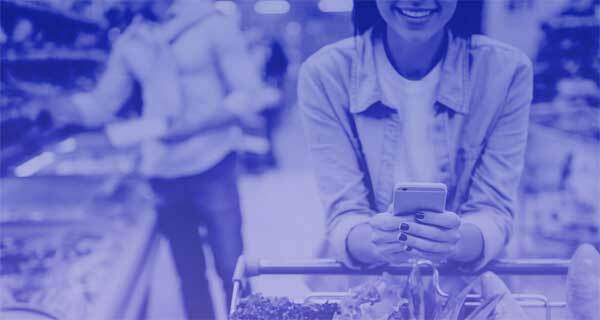 Brands looking to partner with retailers can better understand retailer-specific partnership nuances, and get inspired as to how to shape their own strategies by looking at retailers currently partnering with similar brands. In order to maximise your business revenue, you need to focus on developing relationships with the retailers who will sell your product. By utilising market research, you’ll be able to develop a strong sales pitch to secure not only prime shelf space, but ultimately a strong long-term partnership. To learn more about how market research can help get your product on store shelves, download Euromonitor International’s white paper.